A busy day helping my daughter to move flats meant that we couldn’t be bothered cooking. Our Edinburgh flat is in Bruntsfield and we always used to get take-away curry from the Himalaya on Bruntsfield Place – but, in the past couple of years, the food quality has really gone down – generic curry sauce made everything taste the same. So, we decided to try Mezbaan on Brougham St – south Indian food. What a difference – far better food. We shared one of their specialities – a shrimp dosa (pancake) then had three curries – Wajid Ali – chicken with fenugreek, coconut and curry leaves, Achari Lamb – limey and quite hot and Bagaray Baingan – a wonderful dish of aubergines with a peanut and coconut sauce. Superior food at normal Indian take-away prices. We will definitely be back. 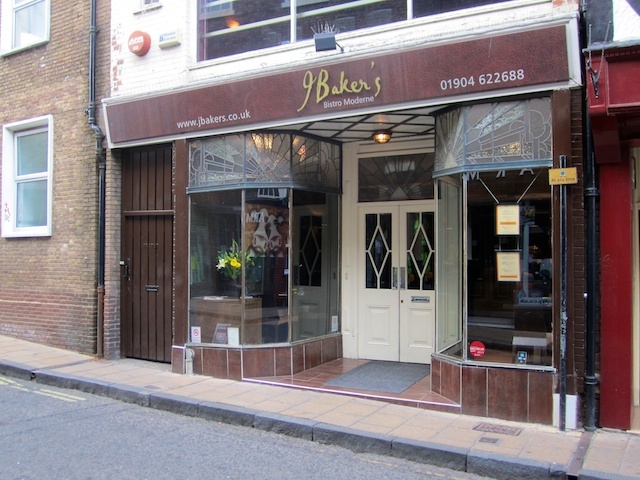 Bakers is an excellent restaurant in the old part of York – the cooking is perhaps best described as experimental – not quite Heston Blumenthal but clearly inspired by this style. I visit York University several times a year and I always try to eat here if I get the chance. Normally, I have their excellent value 3-courses for £29.95 but this time I decided to go for the Grazing Menu, 7 tasting courses from their menu. I opted for the surprise option – si I didn’t know what I was getting. The captions on the pictures are the names from the menu. 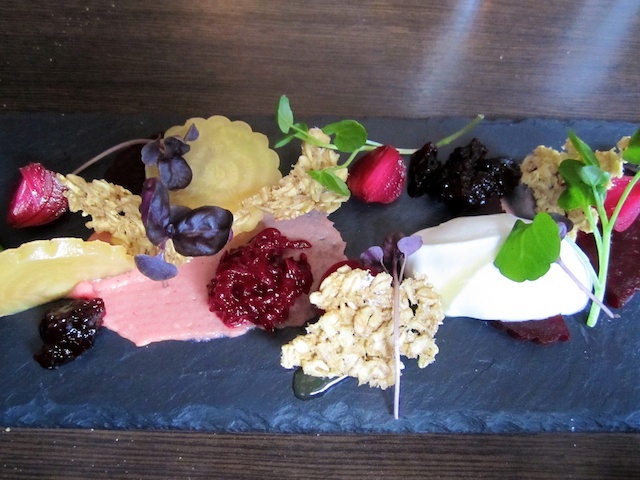 The first course was what I would probably have chosen had I been going for the normal menu – Heritage Beets and cheese with the astonishingly unusual addition of truffle honey. A great beginning. 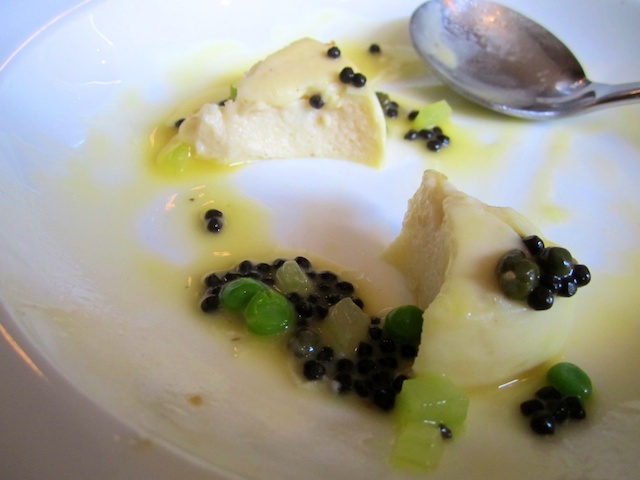 The next course was sea scallop custard – which was absolutely amazing – the best course of the evening. The subtlety and depth of flavour was remarkable. It was so good, I was almost finished it before I remembered that I should take a photo. Then things got a little weird. 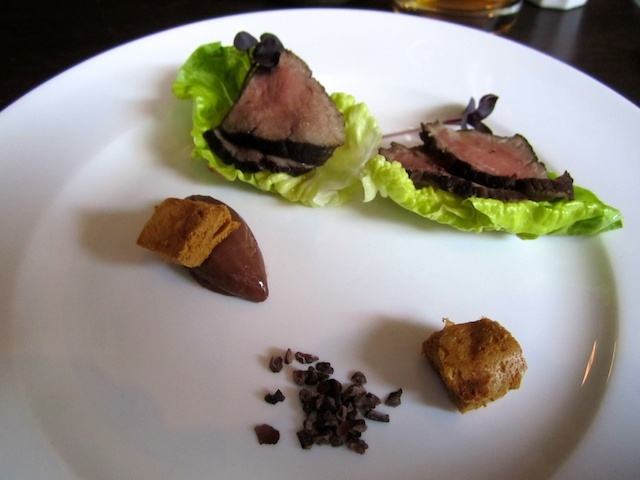 Coco rolled venison salad with chocolate mayonnaisse and honeycomb – essentially, what looked like the inside of a crunchy bar. The first bite with the chocolate mayo was ‘wow’ but then I became less sure. The venison was really good but overall it was a bit too sweet. It was definitely an interesting dish but I don’t think it really worked for me. 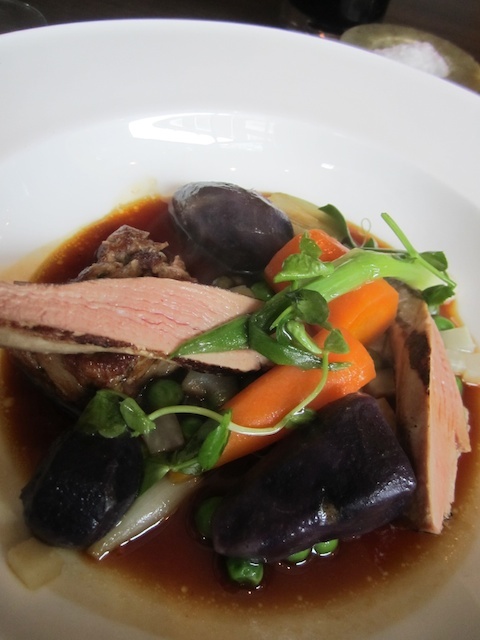 Back on form though for the ‘main’ course – two kinds of lamb with violet potatoes. I had seen but never tried these blue/purple potatoes before – the are visually outstanding and taste great but, in truth, if I had eaten them blindfold, I’d never have known they were coloured. The lamb was outstanding. 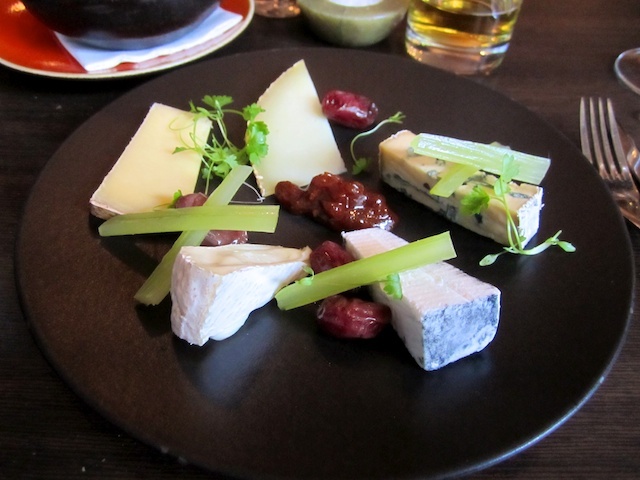 Cheese was next – a wonderful plate of local cheeses with fig chutney. I can’t remember their names but it demonstrated just how good British cheese can be. I had a choice of a chocolate or fruit dessert – I’m not a great chocolate fan so I went for the fruity option. 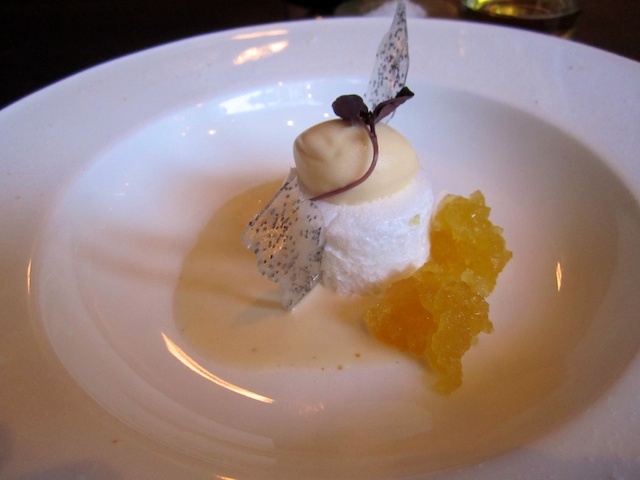 It was a great way to wrap up the principal eating experience – lemon sensations. 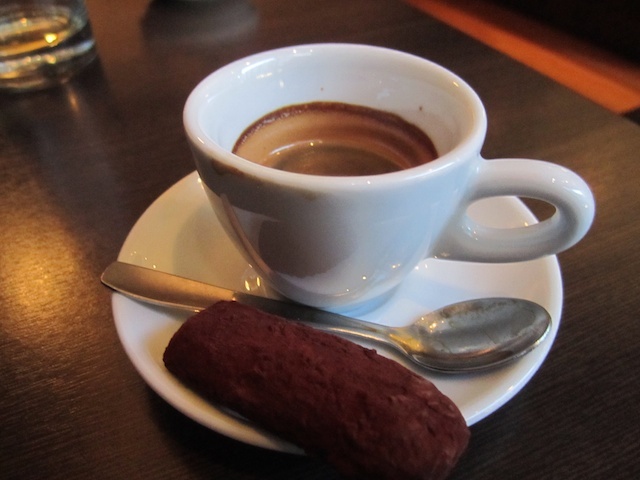 Finally, wrapped up with espresso and incredibly rich amaretto truffles. All in all, I thought the food was fantastic, even with my slight reservations about chocolate mayo. The meal was £39.50 which, for the quality and inventiveness of the food was great value. Service was friendly and helpful with wine recommendations. As I said to them, I wish they’d open in Edinburgh.